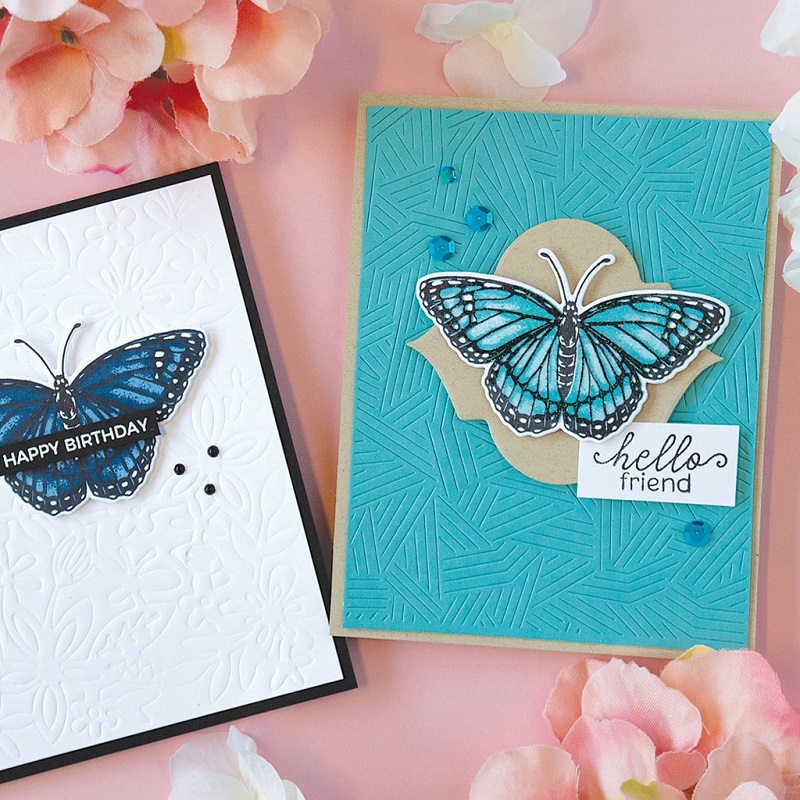 Hero Arts' Color Layering Moarch Butterfly stamp set is a 4"x6" sheet of clear stamps with 12 stamps. Approx. 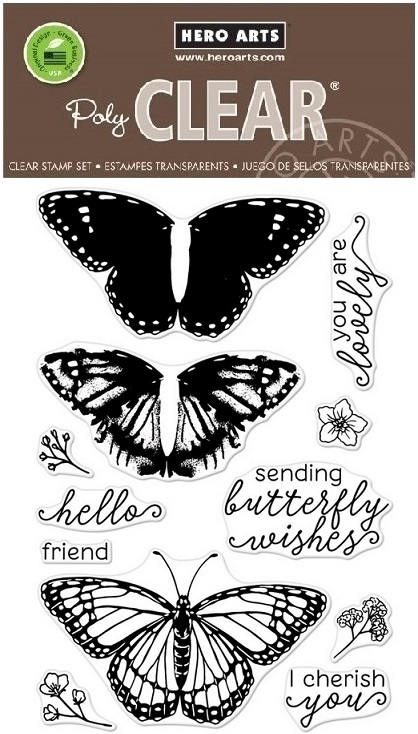 size of 3-step butterfly stamp: 3" x 1.75".